Going through the consumption pattern for breads in USA ,Its observed that gradually people preference for bread consumption has changed to whole wheat bread . 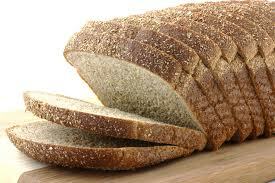 People have become conscious about their health and kids healths .Fibres are more in whole grain bread than white bread . Whole grains are the hottest trend in sliced bread, with whole wheat edging out soft white bread in total sales for the first time. Flooded with messages about heart health, fiber intake and the need for omega-3s, more consumers are looking for bread that can taste good and deliver nutrients. That's why shopping for sliced bread is increasingly about one of two things: what's affordable, and what seems healthiest. And the breads in the middle of the market seem to be getting squeezed. The best-performing breads are promoting credentials like "whole grain" and "natural," sometimes asking consumers to pay more for those loaves. And it seems to be working. Breads with "natural" in the name, or grains visible through the packaging, are among the best performing at grocery stores. Among them: Nature's Own, Nature's Pride and Arnold. It's part of a major turning of the tide. Packaged wheat bread recently surpassed white bread in dollar sales, according to Nielsen Co. For the 52 weeks ended July 10, wheat bread sales increased 0.6 per cent to $2.6 billion, while white bread sales declined 7 per cent to $2.5 billion. White bread is still ahead in volume, but the margin is shrinking. Americans bought 1.5 billion packages of white bread in the last year, a 3 per cent decrease, and 1.3 billion packages of wheat bread, a 5 per cent increase.